The global journalism industry has seen massive disruption in the last decade, and it doesn’t look like 2018’s going to be any different. We’ve already reflected on the incredible ways tech has changed journalism in 2017, but it seems the next year or two could be particularly interesting as we see the physical and virtual intermingle in new ways. And thankfully, we think some of these changes are going to be burden-lifters for journalists around the globe. Smart tech isn’t exactly new, but it’s taking off with a new intensity. Ovens connect to recipes in a global database, coffee makers order freshly roasted beans automatically, and a new smart jacket from Google and Levi can even let you control your music without touching your phone. Cisco predicts that by 2020, the internet of things will include over 50 billion devices. Home assistants, vehicles, wearables, and even furniture will soon be interconnected via the internet. And more connectivity means more ways to spread information, including news content. Maybe we’ll explore new ways of delivering audio clips through products like Google Home. Maybe we’ll get to develop interactive news stories for smart glasses. Frankly, the scope of these changes is yet to be revealed. We predict that news outlets will be challenged to adapt content for a new array of environments, attention spans, and screen sizes in 2018. There are a variety of VR devices already on the market, but they haven’t yet been adopted by the masses. The experiences are unrefined, software is limited, and the equipment itself is still on the clunky side. However, with video emerging as the world’s preferred content type, it’s only a matter of time before virtual and augmented reality steps into the mainstream—and in some ways it already has. IKEA can already show you how furniture would look inside your home and Snapchat can turn your head into various animals. 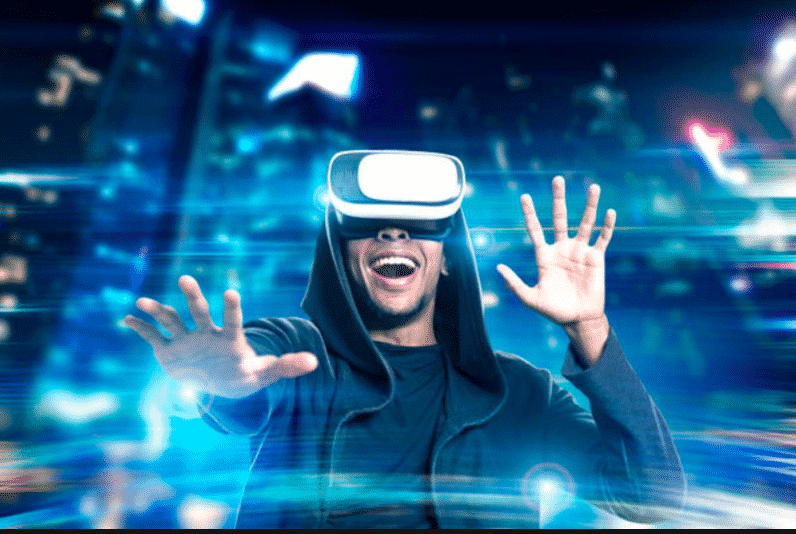 According to Zion Research, revenue in the virtual reality market is expected to grow by 50% year after year from 2017 to 2022, to $5.6 million in 2018. Though the launch of Facebook’s Oculus Go in the first quarter of next year may accelerate that growth at an unforeseen rate. For journalists, storytelling in this new content medium will be challenging—and exciting. “Journalists will realize really fast that VR has a unique power to place viewers on the scene of an event—instead of watching it from outside—and that that’s a really powerful way to engage them emotionally,” says Nonny de la Peña, dubbed “The Godmother of Virtual Reality”. Her company, Emblematic Group, has put people on LA’s poverty-stricken streets, in the thick of battle in Syria, and along the often brutal US-Mexico border through interactive virtual reality. We predict that journalists will get the chance to push the boundaries of empathetic storytelling via virtual reality in 2018. Last month we talked about how A.I. is already learning to write simple data-based news stories and reports, but with the tech world’s fascination for machine learning in mind, we’re pretty sure we’ll see more types of bot-written content in the coming years. However, despite the uncertainty about how bots will impact the journalism job market, A.I. is going to continue to make some things much easier and affordable for journalists. One example is transcribing interviews. For years, journalists have been forced to listen to their recorded audio and type out the transcriptions manually. If they didn’t want to spend hours on the process, they had to pay a pretty penny to outsource the work. But innovative A.I.-based speech recognition software is transforming the tedious and expensive task into a quick, painless one. Trint’s bots can digest and transcribe your interviews in less time than the original recording. The Trint Editor then allows you to quickly and easily make any necessary revisions, caption video clips, and share the work with colleagues. We predict that A.I.-based transcriptions will be more accurate, affordable, and quick than ever before in 2018. If you’d like to explore ways to make your transcription workflow more efficient and cost-effective in 2018, drop us a line at support@trint.com. We’d love to hear from you.